Veronica Mander (Adv.Dip.Hom. ANTA, AROH) is a professionally trained, qualified and registered practitioner of homeopathic medicine and is highly sought after by people looking to make changes in their health and wellbeing. 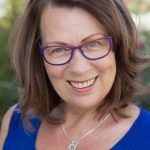 She has been passionate about natural medicine for over 20 years and has successfully run a busy practice offering homeopathy, massage therapy and nutrition advice for women, men and children. Veronica is available for consultations on a range of health issues including stress, anxiety, weight management, diet and nutrition and much more. Please get in touch for more information. 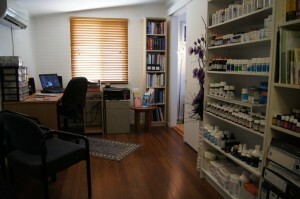 Natural Medicine Practices (NM Practices) is located in Carina Heights, Brisbane. It was established to provide a range of natural health care services for people who are looking to improve their health and wellbeing. The clinic has a tranquil, relaxed atmosphere and consultations are available by appointment. We are committed to natural, holistic health care and are mindful of the need to be well integrated in the overall health care system. We use a high level of pathology and refer our clients to general practitioners and to specialist medical services where required. In addition, we welcome referrals from doctors and other health service providers. 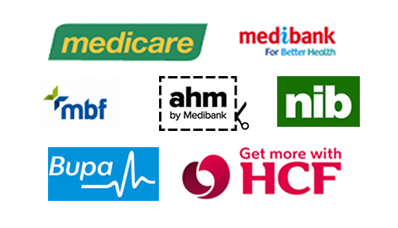 NM Practices is registered with private health insurance funds. From its inception 200 years ago, homeopathy has developed and grown into a system of medicine unique to itself, offering a wide variety of remedies for use in therapeutic practice and preventive medicine. Safe and effective, homeopathy is used by millions of people worldwide including the Royal Family. It’s estimated that 500 million people receive homeopathic treatment on a yearly basis worldwide. The World Health Organisation (WHO – 2005) reports that homeopathy is the second largest medical system people depend upon for primary healthcare in the world. Homeopathy is a complete, specialised system of Medicine. Homeopaths have their own dispensary with homeopathic medicines. To date, there are over 5000 homeopathic remedies available. Through the Middle Ages and into the 18th and 19th century there were some advances in medical knowledge with regards to disease and anatomy. However, very little was known about the treatment of disease and surgery. It is during this time that the history of homeopathy begins. Dr Samuel Hahnemann first applied the word “homoeopathy” (“homoios” in Greek means similar, “pathos” means suffering) to refer to the pharmacological principle, the law of similars which is the basis of Homeopathy. Dr Hahnemann was focused on finding a system of medicine that would stimulate the body to heal itself. Homeopathy is widely used around the world. The British Royal Family uses it, Mother Teresa, Mahatma Gandhi and eleven US Presidents, to name a few well known as well as millions of people around the world. Homeopathy is a low risk, natural way of traditional medicine that can be used successfully to improve your health, by young and old, male and female and children of all ages. from personal experience - mindfulness and breathing are powerful in navigating through many difficult situations! During times of stress, or when heightened concentration is needed, focusing on one’s breathing or doing breathing exercises can indeed change the brain. Love this article, do you manage your time or does time manage you! Our overscheduled lives leave little time for contemplation and reflection. How do we enable each other to pause and ask how our hearts are doing? BREAKING NEWS: Popular natural medicine products like Rescue Remedy and Schuessler Tissue Salts are the latest target of Australia’s Therapeutic Goods Administration (TGA).